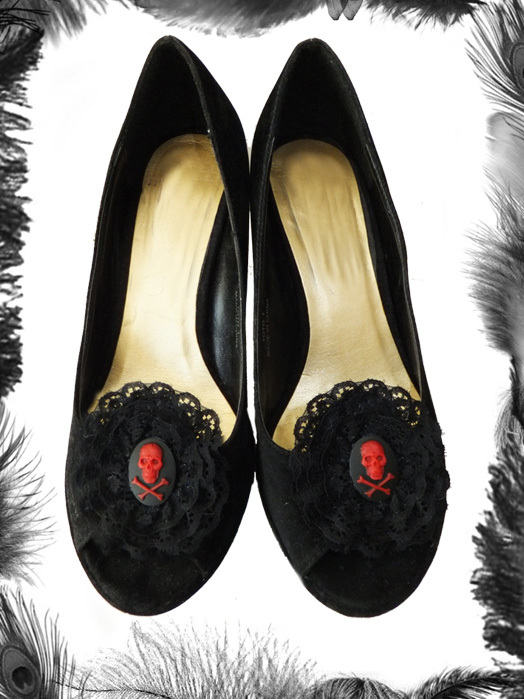 Skull & Crossbones and Lace Shoe Clips. Goth up any pair of shoes or boots with these fab shoe clips. Cameos: Black Skulls white background (Black White), Black skulls red background (Black Red), purple skulls black background (Purple Black) or red skulls black background (Red Black).